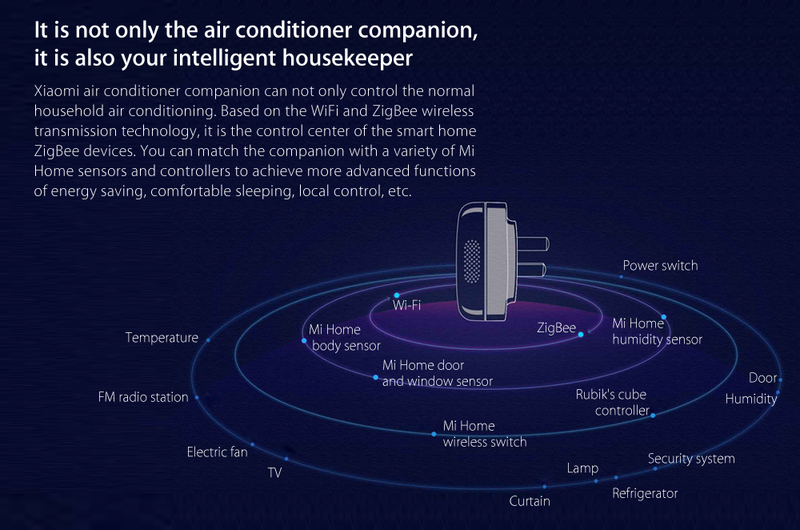 This Mi Home Air Conditioner Companion enables you to remotely control the air conditioner by your smart phone. 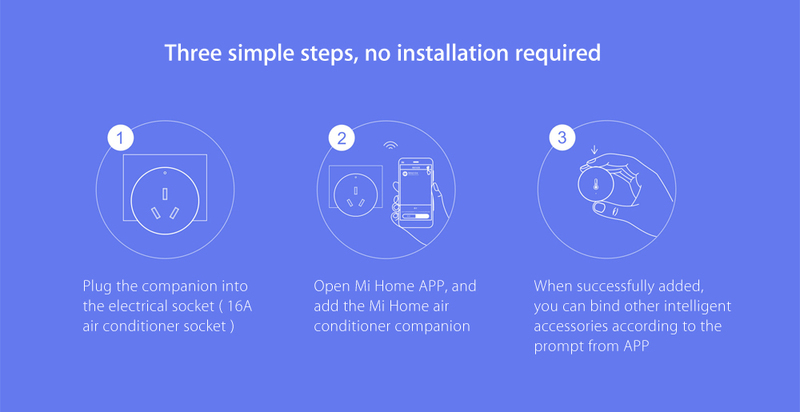 On a blistering summer day, you can open the air conditioner, and choose the quick-cooling mode in advance on the way home by Mi Home APP. 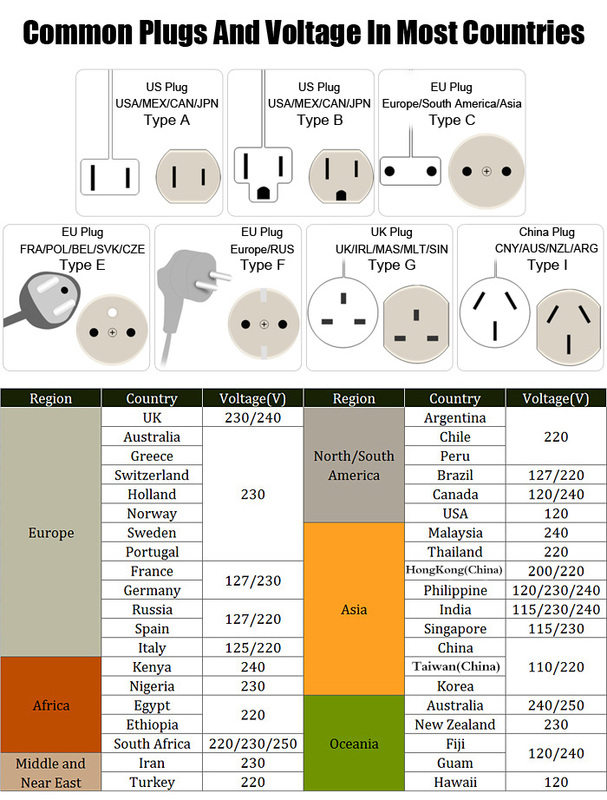 When you get home, the home temperature is moderate, and you can enjoy the comfortable and cool air environment. 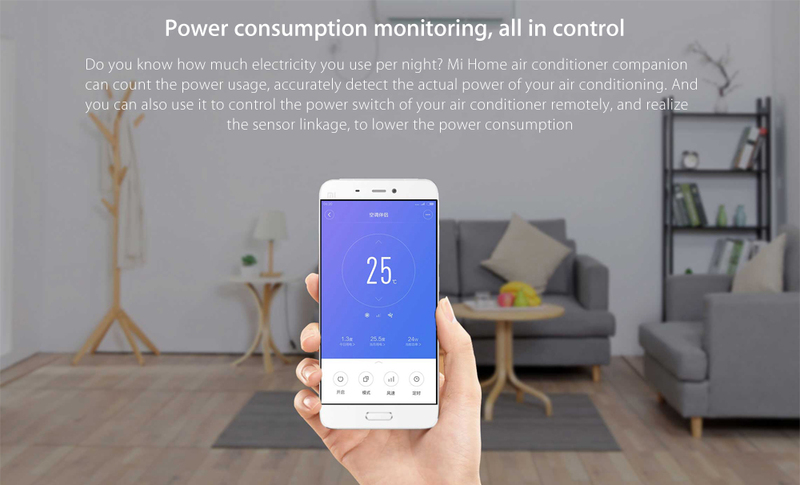 Mi Home Air Condition Companion can count the power usage, accurately detect the actual power of your air conditioning. 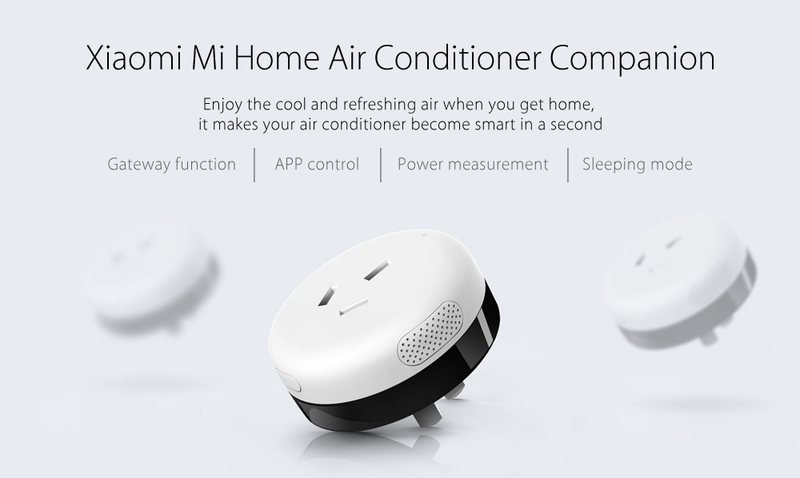 And you can also use it to control the power switch of your air conditioner remotely to lower the power consumption. 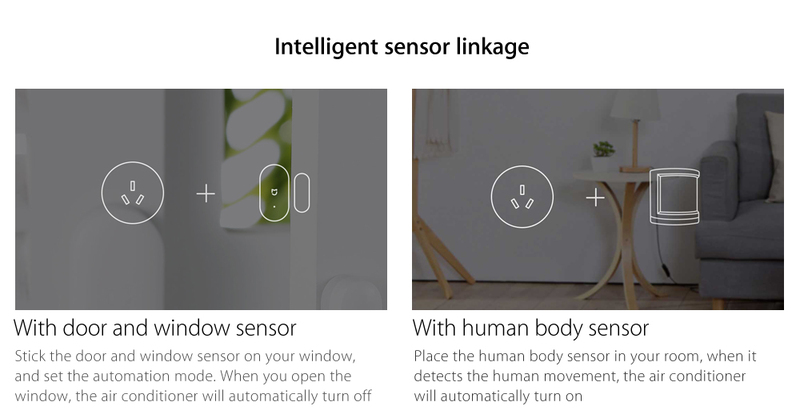 Based on the WiFi and ZigBee wireless transmission technology, you can match the companion with a variety of Mi Home sensors and controllers, to achieve more advanced functions!